SimPlant means fast and easy planning for every case, from single tooth restorations to fully edentulous jaws, whether seemingly straightforward or challenging both from a surgical and prosthetic point of view. This is one of the best investments you’ll ever make for your practice. When featuring an ATLANTIS Abutment, the Immediate Smile concept combines the proven benefits of SIMPLANT guided surgery and the ATLANTIS patient-specific design into a solution that delivers considerable clinical and patient value. 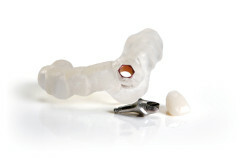 Immediate Smile featuring ATLANTIS Abutment is implant-system independent and available for all major implant systems. communication tool for your patients to convince them of the dental implant treatment plan. Implant surgeons can now easily team-up with their referring dentists, labs or colleagues to discuss an implant planning case, all of this in the safe environment of the SIMPLANT Cloud. 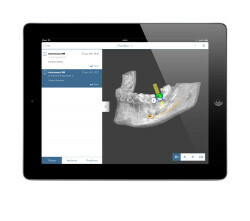 A pleasant user-interface providing a clear overview of the implants with intuitive localization. Imagine-Editing when you need it. | Self-Converting when you don’t. Materialise Dental or a SimPlant® Master site edits your (CB) CT images into a scatter free image that allows you to manipulate critical anatomical structures. Take advantage of case management and support from Master sites or Materialise Dental on www.dentalplanit.com. Manipulate 3D models such as prosthetic wax-ups, scan appliances and optically scanned models from other STL sources. Whether you have a CBCT or not, go from (CB) CT scanning to treatment planning within minutes! No conversion needed! There is no need to send your (CB) CT images out for a conversion. Ready to order a SurgiGuide® without further image editing. Hassle free upgrades available for modules as needed.